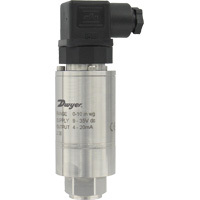 The SERIES 628CR Pressure Transmitter, contains a low cost ceramic sensor housed in a compact, rugged, NEMA 4X (IP66) stainless steel body. Ideal for the budget conscious OEM's that require high levels of performance, reliability and stability at an unbeatable price. The 628CR housing is small and lightweight for optimum compatibility with OEM systems. 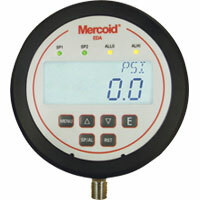 The design allows for a variety of pressure ranges from 30 to 500 psi and optional electrical connections allowing you to select the right transmitter for your application. ±1.0% FS (includes linearity, hysteresis and repeatability). 0 to 185°F (-18 to 85°C). Max. 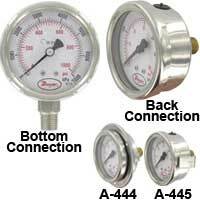 Pressure: 2x range; Burst Pressure: 3x range. 0 to 1200 Ohm max. 1/4" male NPT or 1/4" male BSPT. 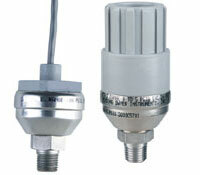 EXAMPLE 628CR 08 GH P1 E1 S1 AT Series 628CR-08-GH-P1-E1-S1-AT Pressure Transmitter, range 0-30 psig, general purpose enclosure, 1/4" male NPT, 3 ft. cable, 4-20 mA output, with aluminum tag.